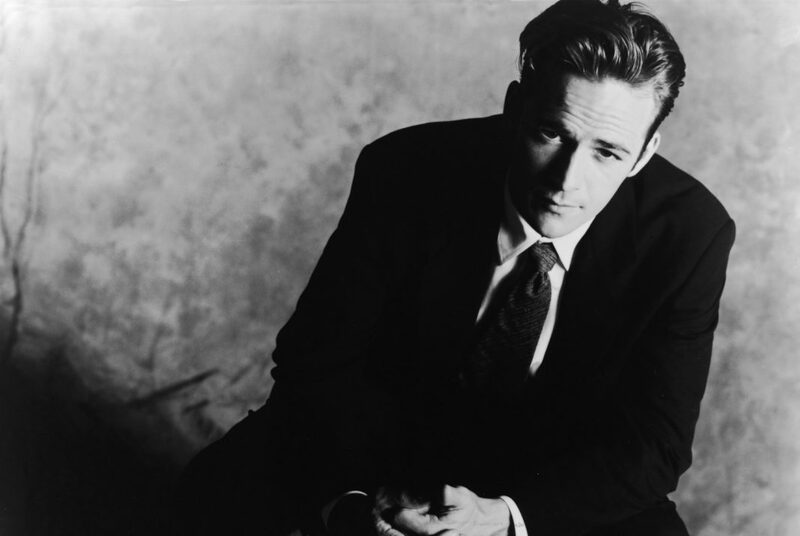 A week ago today, the news broke that Luke Perry had passed away at just 52 years old after suffering a stroke several days earlier. His untimely death brought production of the soapy teen drama Riverdale to a temporary halt, and it also exposed a glaring omission on the Hollywood Walk of Fame. Neither Perry nor any of his Beverly Hills, 90210 costars has a star on sidewalk landmark, and now that he’s deceased, getting one will be harder than ever. According to TMZ, a deceased celebrity will only be considered for induction five years after his or her passing. And since Perry can’t provide written consent should he be nominated, his family will have to do so. Even then, only one deceased nominee is approved each year. The next inductees? Anthropomorphic cartoon rodents Alvin and the Chipmunks will receive their star this Thursday, March 14. As for people in 90210‘s orbit, producer Aaron Spelling has had a star on the Walk of Fame since 1978—and Jason Priestley has a star (or a leaf, I guess?) on the Canadian Walk of Fame. Hopefully the committee will keep an eye out for Perry’s app in 2024. Previous articleWhat Makes Ugly Drum Pastrami So Damn Good?